New season calls for a new skincare routine. And since spring is just around the corner, temperature is slowly rising, humid weather is definitely coming, what’s a better time than now to start prepping for a new skincare regimen that will get us ready for the warmer weather. Let’s begin our skincare routine with the most essential - daily moisturizers. Especially right after a very dry winter, we need to replenish the moisture that was lost in our skin. Below are few moisturizers that I have tested over time (range from 1 -14 months period), which I highly recommend to include in your daily skincare routine for spring. Hydration is a given, in addition, each moisturizer also targets a different skincare concern, and of course I always switch back and forth depending on the current condition of my skin. My skin type has always been oily and sensitive, acne-prone, a very high maintenance skin type combination to take care of. I have gone down the wrong path plenty of times to realize that my skin type is not suitable for cream moisturizers. But the products I am about to review are all gel cream, but most of them also come in a cream version as well. So if dry, flaky skin is your main concern when it comes to skin care, you may want to consider switching to the cream to better nourish your skin. The first moisturizer I want to talk about is something that I am currently using as my daytime moisturizer. Two months ago, I was invited to attend Shiseido’s launching party for their Essential Energy Moisturizer line. And I was given this gel cream to test and review. Although it’s a gift (with no obligation), I am still giving you my 100% honest feedback that I will definitely purchase this cream again after I finish it. This lightweight cream is great for hydration and softening without making your skin feeling smothered or greasy. It features the ReNedura Technology, which makes your skin more responsive to your daily skincare. The fact that this is a water-based cream also does not make it any less effective than its richer counterparts. The silky texture of this cream makes it super absorbent on the skin, which means you have to be careful not to over apply it. I have been using this cream for over a month now, and I have seem the dryness in my skin improve visibly. This cream also smells like heaven, with a hint of rose and jasmine. The floral scent is intended to have a calming effect that also reduces stress. I love to apply this cream right before my makeup, because it’s so hydrating, it serves as a great moisturizer to prep the skin for a smooth foundation. For those of who are not familiar with Innisfree, I first found out about this K-beauty brand when I traveled to Seoul, Korea back in 2016. Their sheet mask (still one of my favorites) was a huge hype in Asia at the time, so knowing me, of course I had to stock up, especially at the time Innisfree wasn’t available in the States. So when Innisfree announced that they are officially launching their product line in the US, I was so excited that I can finally get the products here. This moisturizer is really a bang for the buck, it retails only for $29. Their products are known to be effective and affordable. You’ll end up being addicted to this gel (just like me), I have had 2 empty bottles already of this moisturizer. It’s a great cream to use for people who’re in their late 20s, to address the early signs of aging. The key ingredient in this gel is the Jeju Orchid, which is a rare flower that has great anti-oxidant powers, making it highly effective to to combat early aging. 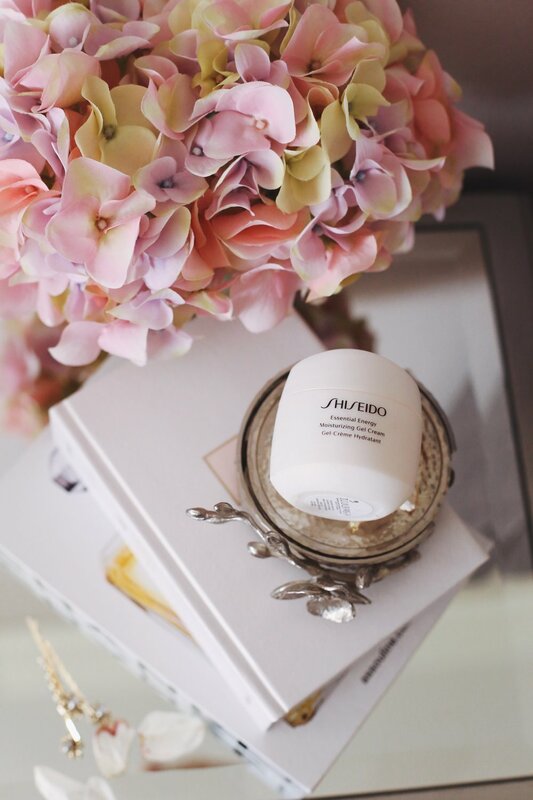 The texture of this gel cream, similar to Shiseido's Essential Energy Moisturizer, it’s soft and silky that can penetrate deeply into the skin leaving it smooth and supple. For someone with oily skin, I’m pretty desperate to find a moisturizer that will keep my skin replenished all day. Most people thinks that with oily skin you can moisturize less, but that’s actually a common misbelief, because when your skin lacks moisture, it will produce more oil to compensate, making your skin more pro to acne problems. This gel cream moisturizes my skin and gives it a good base for make-up in the morning and it’s also enough to keep my skin hydrated throughout the day. I am also a big fan of the scent, it’s floral but subtle and not overpowering at all. If you’re looking for a moisturizer to address early aging and decent priced, definitely try this Innisfree Youth-enriched Gel Cream, you won’t regret it. Because as a teenager (and sadly, currently) I struggled with acne problem, and as someone who has been prone to sun spots, hyper pigmentation left behind from acne has been a big skincare concern of mine. I have always been skeptical about skincare products that claim to “brighten” skin. Until last Christmas, my mom got me a set of Shiseido’s White Lucent skincare, so I started giving the night cream a try. Although my skin is oily, now that I am in my late 20s, my skin desperately needs hydration. 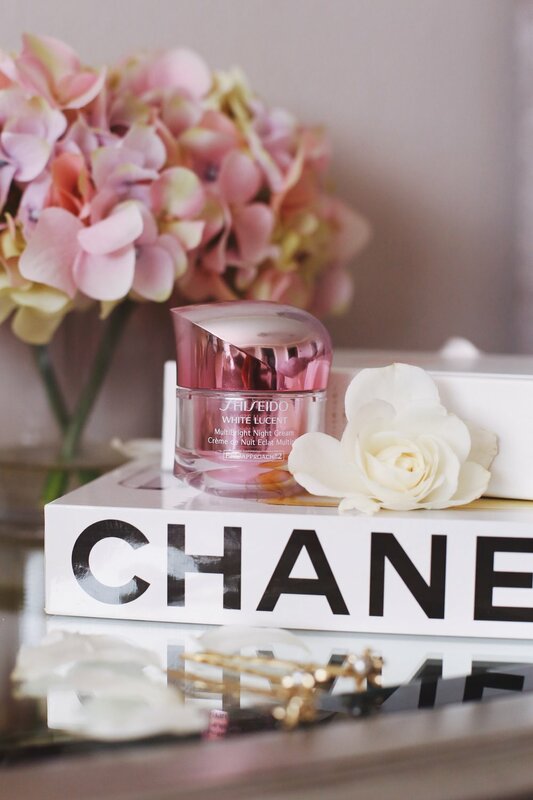 I am currently using Shiseido’s White Lucent Multi Bright Night Cream as part of my night skincare routine. Although still water based gel, the texture is a bit thicker than the first two gel moisturizers I have previously reviewed. It’s still not as heavy and rich as cream moisturizers, so the skin still absorbs it fairly quick. This night cream features the SakuraResist technology, which uses Sakura from Japanese cherry blossoms, aimed at targeting dark spots. Just like the first two moisturizers, this gel cream also has a subtle floral scent to it. So with any brightening products, you won’t see any visible results until over a long period of committed use. I have been using this moisturizer for over 3 months now, what I have noticed is that my skin tone looks more even and my skin felt smoother both day and night. This is by far one of my favorite night cream, it keeps my skin look radiant and hydrated the next morning. I have been using this product every morning and night for a month now. Because I already have a moisturizer in my skincare routine, I only apply this cream on my acne problem areas, my jawline and chain. The texture of this cream is by far the thickest out of all the moisturizers I have reviewed so far. It’s still lightweight, but definitely creamy, but it’s not greasy at all and absorbs nicely. Because my skin needs deep hydration, that’s another reason why I chose to use it in conjunction to my regular daily moisturizers instead of using it by itself. When I first put it on, I was struggling with the intense tea tree oil scent, which is quiet different than the floral scent that I am used to from my other moisturizers. But I loved the cooling effect on my skin, it feels fresh and calming. Now after a month of use, I find the scent quiet refreshing. The tee tree concentrate helps to kill bacteria and reduce redness. Ever since I started using this balm, it’s been helping to control my acne breakouts on my chain and jawline. I do feel that this balm is a bit more on the dry side (for my skin type at least), so I’d suggest to use it as a spot treatment if you have dry skin and looking for something effective to address your acne problem. Because I have been going through a lot of stress lately, so my acne is due to internal issues. So it’s hard for me to judge whether this helps to prevent breakouts, but I can definitely say that it helps to clear my skin. Another reason why I strongly recommend this product is that OSEA features clean, vegan, eco-friendly skincare products that really keeps its mission at the center of its products. I am considering keep this balm as a staple going forward for blemishes.